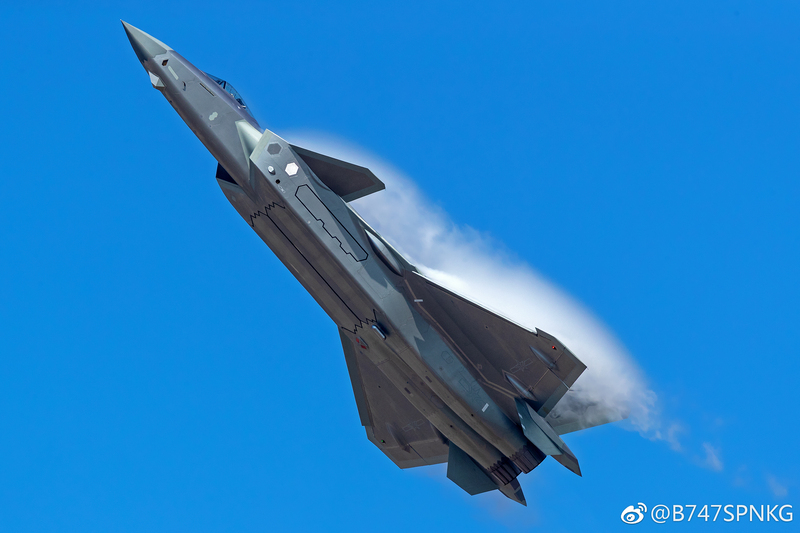 Recent photos suggest the J-20 will carry 6 AAM's. 4 in her underbelly bay and 2 in its side bays. Does anyone here think it's odd they've carrying 6 vs. 8? Their AAM's are considerably smaller than the Russian equivalents, at least from what I've seen. Perhaps that's not the final weapons load, but 6 struck me as rather light. Especially if it's designed to go after US AWACS and tankers. The fuselage bay looks large, so I'm guessing they'll be able to fit 6 at some point? They only had the schematics for a six missile F-35 to work from. What you mean the Short Range AAM mounted outside the fuselage instead of the missile bay?? They are not mounted outside. J-20 side bays have a wonky design: Before launch the bay doors open and close again after the missile is put into the firing position. AFAIK Raptor side-bays required disproportionate amount of testing and design time, compared to their utility. Their complexity was the main reason for dropping them from the F-35 requirements). 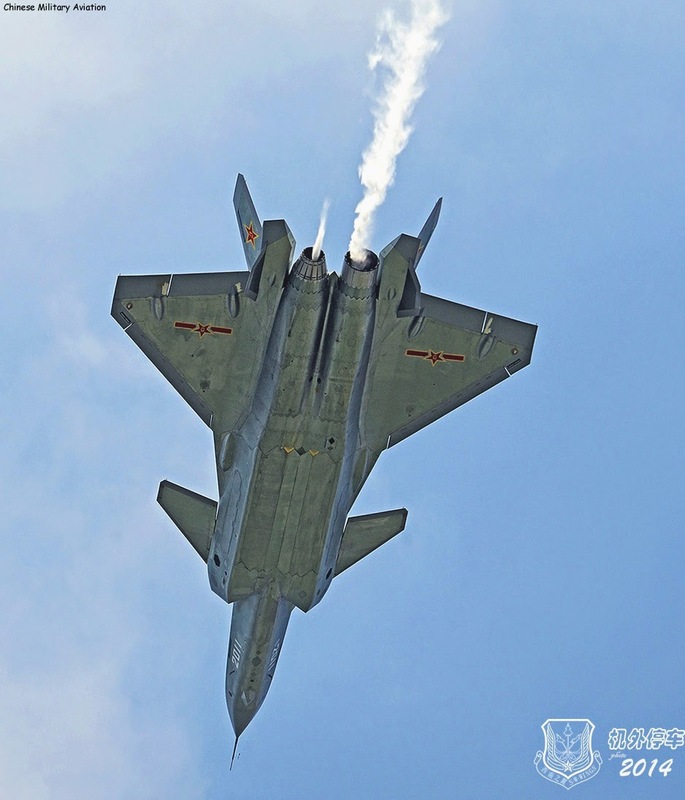 The J-20 solution obviously has its drawbacks, but it's quite elegant in some ways. The J-20’s side bays design is intriguing to me. It looks simplistic in design and functionality. Almost like a single door version of the Boeing JSF’s swing out side weapons bay. I wonder though, what would the launch envelope for the IRIS-T…er, I mean, PL-10 would be for that design? -Would it need to as it’ll have 90-degree HOBS launch envelope? -Over the shoulder shot capability with helmet or sensor cueing/slaving? -Does that swing-out design have any advantages in terms of maintainability? I wonder if this missile will be exclusive to the J-16 or may be carried externally by the J-20. Thinking aloud, the J-16 could carry some of these missiles while the J-20 deploys downrange and guide the missile after launch towards it’s intended target (thinking tanker or AWACS). Not a new tactic from our standpoint, but may be new to the PLAAF and dependent on how good their systems are at this point. madrat wrote: They only had the schematics for a six missile F-35 to work from. Given my conversations with US pilots, they're far more worried about the Chinese vs. Russian aircraft, weapons and systems. Greets, that is indeed a very interesting application. I know that when the Raptor was being developed, one of the characteristics of the weapons systems was to limit movement, moving parts, singularity of deployment. I think the realization is that we are so far ahead right now, it's a race to catch up. Anyway, my thoughts on the photo was that the Chinese have developed what looks to be a very interesting aircraft. I do not understand why the aircraft is dimensioned the way it is. I know it has a quite large fuel requirement. That would point to the technology we have developed in engine efficiency. In VLO/Stealth, I understand that the smaller the better, and canards are a no-no. The more I look at it the more I am convinced it COULD BE as low as .005, and SHOULD BE lower than 0.1. RCS is a very nuanced design practice so I would not wager any narrower of a guess than that. I could be wrong either way. I'm sure it won't be long before the J-20 and the F-35 have a clash of the sensors. the coatings being such an unknown is why my range is so big. I agree. I do however find it difficult to imagine any VLO with those canards and "open' exhaust pipes wiht no IR or plume reduction. That alone will almost negate any VLO advantages. The 9 X ray will see that as a big fat turkey. Are canards that much more untreatable than other moving surface? They have tried to put it on the same plane as the wings (angling up a little bit for some deflection?) and also add saw tooth at the trailing edge to scatter radar waves. I certainly aren't qualified to judge how much that reduces the effect of having canards, but they've certainly put a lot of effort into minimizing its effects. The first one in this search is the best I can find for now. They've also done some work on "stealth nozzle" to reduce IR signature. "North American XF-108 Rapier by Republic Aviation"?